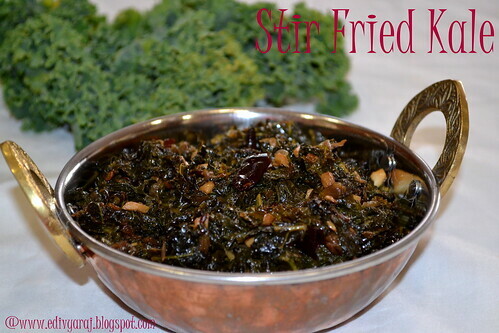 Divya's Recipes: Stir Fried Kale ! !Healthy Meal!!! 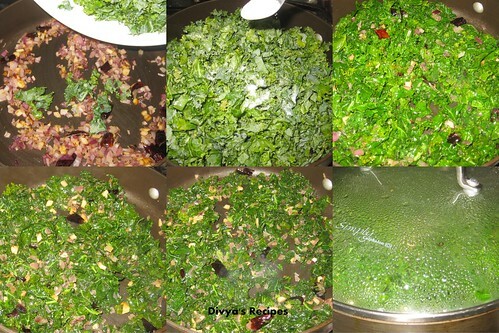 Kale is one of the healthiest vegetables and it can be prepared in many ways.Since it has wonderful health benefits make sure to include them in your diet in healthier way like steaming the kale,adding them to soup, salad etc. 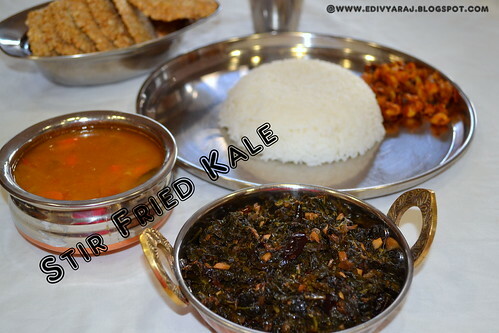 There are several varieties of kale,these include curly kale,ornamental kale and dinosaur kale (Tuscan Kale) which differ in taste,texture and appearance.This recipe which i am posting today is stir fried kale in which i have used curly kale. 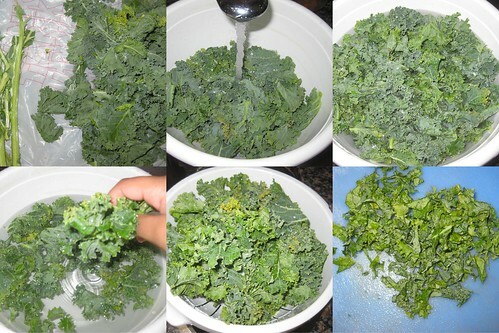 Before you proceed with the process make sure you clean it sufficiently as the curly corners can trap dirt and you will end up with bad experiences.First strip the leaves from the tough stem.Fill water in a big bowl and plunge the whole pile of kale into it,shale the leaves vigorously and let them sit for five minutes.Remove the leaves from the water.Change the water and do the same couple of times and drain them in the colander.Now chop the kale 1/4 inch using knife ,keep it aside. Heat oil in a pan,add cumin seeds,mustard seeds when pops up,add red chillies fry for a mintue.Then add garlic pieces fry for 2 minutes. Then add onions saute until the onions are cooked. Add the chopped kale and salt mix well,fry for 5 minutes.Then add water and close it 3/4 th with a lid. (Do not close fully). Once all the moisture is absorbed add grated coconut (i don't have coconut ,i didn't added) .saute them until everything is mixed well and no moisture is left and turn off the stove after a couple of minutes. 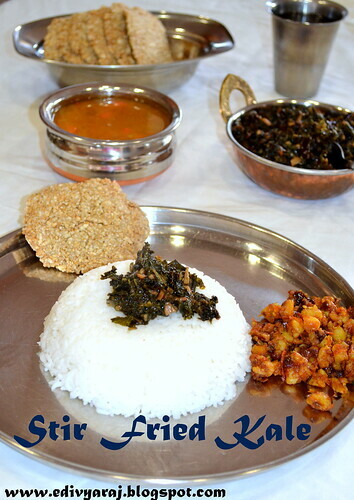 Enjoy Sambar or Dhal, Steamed rice with stir fried kale along with little ghee. only recently I started to get Kale near our home.. really nice stir fry.. Healthy and inviting dish...looks delicious. Healthy and delicious stir fry..
Love this healthy version ........looks interesting! 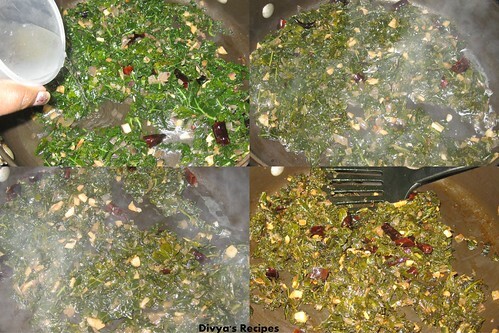 Wonderful healthy dish to sneak kale..
Hi divya: New to your blog. 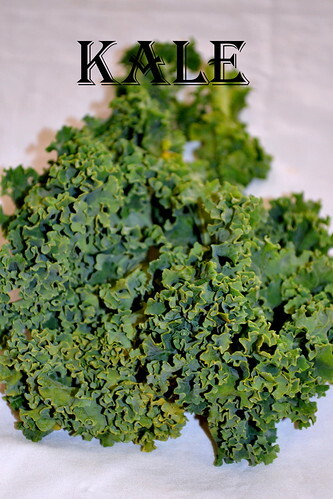 Kale is such a healthy and rich green, so this is great! thanks for sharing this wonderful recipe. will stick around and look at your other recipes. really very healthy dish. love the last photo. Indeed a very healthy dish! Nice and super. Full details about healthy dinner recipes here. I got lots of important things with the help of your site. The post looks yummy ...yeah and the pics too..:-)...I am really not much into continental cuisine not because I do not like it but for the simple fact that I like Indian cuisine and kind of crazy. Heard a lot about Kale. But never tried it. Thanks for this recipe. Nice pics too.. When you try the spaghetti sicilana recipes then you will feel that the taste is just flowing out of the kitchen. It really is a mouthwatering dish which you can never say no to. I too like kale that gives slightly bitter and tangy taste. 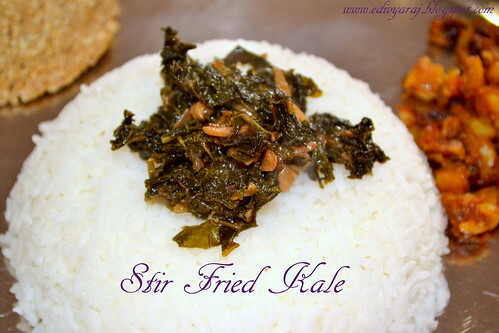 Very nice recipe of kale, I would love to try. Vegetables is best recipe for me.. I love eating veggie pasta and salad. I'm not really a vegan but I love veggie recipe. These sound wonderful and I bet they are also healthy. A new ,healthy & interesting recipe............love to try. What a delicious way to have kale, looks so inviting !! It can help me to improve my content….